Many of our patient’s families include at least one four legged member. 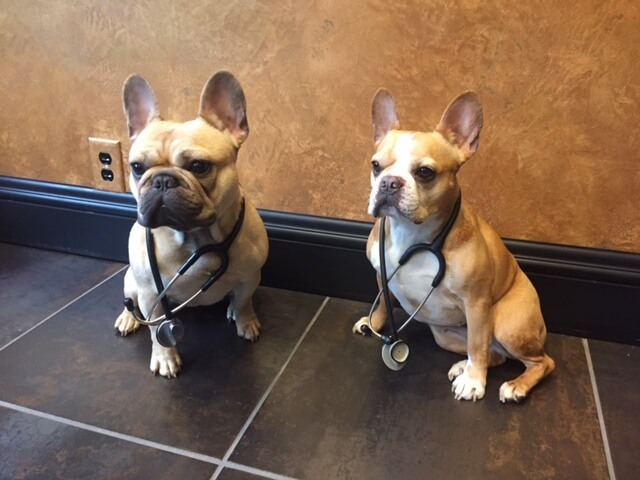 Dr. Guyer is frequently asked which supplements may help promote a healthy, vibrant life for pets. While many of the supplements at The Guyer Institute are safe for canines, please consult your pet’s vet before beginning a regimen. EPA/DHA SP- Omega 3 fatty acids are considered essential, as the body is not able to produce them on its own. They are a naturally anti-inflammatory that can promote healthy joints, skin, and immune health. EPA/DHA comes in a capsule form that most dogs will be able to chew or swallow. For smaller dogs, we have a pediatric version available as well. D-Mannose Powder- D- Mannose powder may be helpful for dogs experiencing urinary tract issues. The powder can be sprinkled on top of a canine’s food or even added to their water supply. It has a sweet taste that most dogs love! D-Mannose is believed to work by binding to E.Coli present in the urinary tract causing it to be washed away during urination. Probiotics- Many canines suffer from gastrointestinal issues. Adding a daily probiotic can be immensely helpful. Our Eco-Biotic Powder can be sprinkled on top a dog’s food or if a capsule version is preferable, we offer Ultra Biotic. Probiotics not only help settle a stomach but also can help boost immune function. MSM- Methylsulfonylmethane- MSM is believed to enhance the structural integrity of connective tissue and is also reported to have anti-inflammatory properties. MSM helps with muscle and tendon protein synthesis. MSM is available as capsules which are easy for most dogs to swallow. provides the building blocks to synthesize new cartilage and also may act as an anti-inflammatory. Chondrotin neutralizes destructive enzymes in the joint, helping to prevent joint destruction. To allow for the best absorption, these products are available in a liposomal form. Type II Collagen-Journal of Veterinary Pharmacology and Therapeutics: In a clinical study of obese-arthritic dogs undertaken to evaluate clinical efficacy and safety of the un-denatured type II collagen, after 90 days the animals taking daily doses of UC-II showed significant declines in overall pain and pain during limb manipulation and lameness after physical exertion. Type II Collagen is available in capsule form that is easy for most pets to swallow.